This Seimas election is changing the Lithuanian political map. 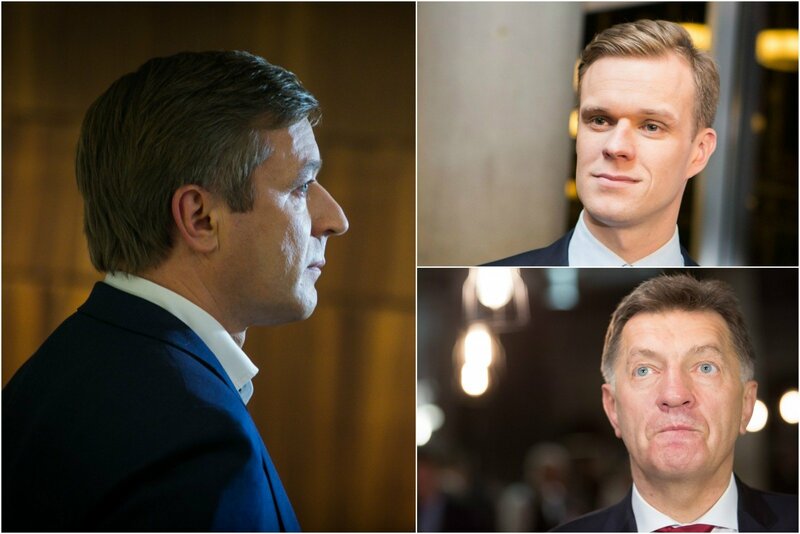 The Homeland Union – Lithuanian Christian Democrats (TS-LKD) and Lithuanian Peasant and Greens Union (LVŽS) are two entities which will dominate political life for the next four years. The work done by former Liberal Movement leader Eligijus Masiulis and the party infrastructure created has helped the Liberals weather the greatest crisis in party history and have a good showing despite a fairly confused current party leadership. The populist Labour Party has been wiped out, while the other populist party, Order and Justice, is balancing on the edge of being removed from the election due to vote buying, Alfa.lt reported. A unique feature of this election is the active participation of young voters. Their number rose by 7% compared to last election and made up a third of the entire vote according to Central Electoral Commission (VRK) data. Experts believe that those parties which were most active in social media obtained the most youth votes. “It is natural that youth are the most active users of social media, youth means from 18 to 40 years old here. It is natural that one of the most convenient means of reaching this group is through the channels they spend the most time on. It may not be this election that displayed how good a means to reach the audience social media can be, but the last few elections have clearly outlined that it is a good medium for interaction for politicians to participate,” said social media expert Arijus Žakas. Who did youth vote for? Sociologists and political scientists observe that youth typically are more inclined to vote for rightist parties. This is because they are able to attract new voters and it is easiest to seek them among the youth. “Liberals may have performed better than they expected on one hand, on the other hand, looking half a year back, less than could have been expected. And it was visible that they attracted new voters over the past two years, not necessarily very young, around 20 years old, but those who would not vote earlier, this could mean that a part of them transitioned to the Homeland Union because, knowing the structure of the electorate, Social Democrats and Order and Justice are still inclined toward middle age or older voters. This is the only alternative, where the youth vote, roused by social media, could have gone – Conservatives and, to a lesser extent, the Liberals,” said political scientist Mažvydas Jastramskis. What brought about the success of the “Peasants”? The LVŽS relied on the novelty factor in this election which, according to sociologists, isn’t a new technique and typically occurs in every election. “Regarding the “Peasants”, it is a moment of novelty, they started rising already last year, it was clear that something unusual is coming and in every election there is demand for novelty, the non-confrontational campaigning attracted many voters. Now the Conservative campaign is very energetic and fresh, attracting many people, while their electorate has always been very civic minded, this time it appears that with new technologies and social media, it worked rather well,” says head of Vilmorus, sociologist Vladas Gaidys. It appears that the first victim of the “Peasants” would be Labour Party and the Lithuanian Social Democrat Party. The former failed to exceed the 5% vote barrier, while the Social Democrats received a serious and rather unexpected blow. Sociologist Gaidys admits that while poll data for this party was high, their failure stems from other reasons. Why did the Social Democrats lose? “A passive campaign and the Labour Code which the President, a highly popular individual rejected,with the Labour Code supporters and detractors numbering respectively 4% and 64%, not to speak of the story with the Ministry of National Defence; many bad things in a row from the end of last year had an effect,” V. Gaidys summarised the LSDP’s campaign agony. Political scientist M. Jastramskis says that the LSDP became a victim to alternative – both in cities and in the countryside, voters had alternatives, making the major Lithuanian leftist party bleed. “I believe that partially the Social Democrats failed through poor management of this year’s situations, the chain of scandals and the passing of the controversial Labour Code right before the election made a number of people look for alternatives and if we look at the ratings, a part doesn’t believe, but the fact is that party popularity was very similar. The Social Democrats held first place, but voters were looking for alternatives; in urban areas they found the alternative in the Homeland Union, while in rural areas – the “Peasants”,” says Jastramskis. What will the second round mean? The first round of voting has ended, but it is far from clear who will govern Lithuania. The Conservatives have 41 and the “Peasants” have 42 candidates competing in the second round. The “Peasants” are a popular secondary pick, but the Conservatives benefit from low voter turnouts due to their active electorate and second rounds are typically where turnouts are low. “We have rather similar positions in this case, I think that it could be that a series of coincidences will decide, say which five districts the differences will be very small in, inching one party ahead. Nevertheless the Conservatives and the Social Democrats perform best in the second round and the party which performs well in the multi-mandate district may do poorly in the single-mandate districts, but these things change. With the “bled out” Social Democrats, the “Peasants” could have even results with the Homeland Union,” mused Jastramskis. What are the decisive factors in the second round? Most parties, whose candidates failed to enter the second round, have left the candidates to decide themselves, which former rival to support. “There will be no such party decision, it is left to our buddies, the candidates, to decide in the locations they ran for elections at because every branch has its own situation, some are friends with one group, others with another, no general decision can be made so we trust in our friends, they live and work there, they know the nuances we don’t,” said the LSDP campaign manager Algirdas Sysas. “A general consensus exists of course, we have observed in a few districts that we will be supporting the Liberals, I personally will support Liberal candidates in Klaipėda; of course there is an impact from consultations,” said TS-LKD Chairman Gabrielius Landsbergis. But in some districts the Conservatives asked for aid from the archenemies the Social Democrats. “I know that our party member, who is running in Naujoji Vilnia against Algirdas Paleckis, contacted colleagues from the Social Democrat Party, but it looks like they are unwilling to support here which I find rather odd because then we are faced with a question of whether the party is at all in favour of state interests or against them, with Birutė Vėsaitė stating that Algirdas Paleckis can strengthen the left wing,” Landsbergis lamented. Infamous for his outrageous, anti-state statement, A. Paleckis will be competing with TS-LKD executive secretary Monika Navickienė. In protest to Paleckis’ activities which are directed against the sovereignty of the Lithuanian state, many famous individuals have expressed support for her, however from the Social Democrats only the Vilnius branch debuty chairman Sergejus Tichomirovas spoke up. That said it was personally, not in the name of the party. Meanwhile LVŽS Chairman Ramūnas Karbauskis has observed a slander campaign against his parties prior to the second round. “We see a wave of lies, which are supposedly related to rumours of supposed deals with one or another party, supposedly that we are fractured, which is probably intentionally spread by both the right and the left. Most likely it is intended to bring as few voters in during the second round because our rivals benefit from low turnouts. I believe that is the case for both sides,” says the LVŽS chairman. The LVŽS chairman continues to stress the possibility of a “rainbow” coalition between the Conservatives and the Social Democrats, if his “Peasants” do not win. “Those parties, which have been in power for over 20 years, they need to take a rest for a time because the changes both sides speak of are hard to image in a coalition. But if our mandates stay at around 30 or slightly more and we would fail to gather a larger fraction, then we would not be a suitable partner for either side and would have to go into the opposition, with the numbers showing that the coalition would likely be formed by the Conservatives and the Social Democrats,” said Karbauskis. G. Landsbergis refutes such claims, stating that they are impossible and that Karbauskis’ claims have no basis in truth. “With the Social Democrat Party as it is today, a coalition is impossible. A few reasons: voters wanted change; the SocDems with their Vijūnėlė manor and spoons are not change, it is the same old, LDDP-era party, which is not at all reminiscent of change,” said the TS-LKD chairman. With final results still pending, all parties know who they want and don’t want to see in the PM’s seat. 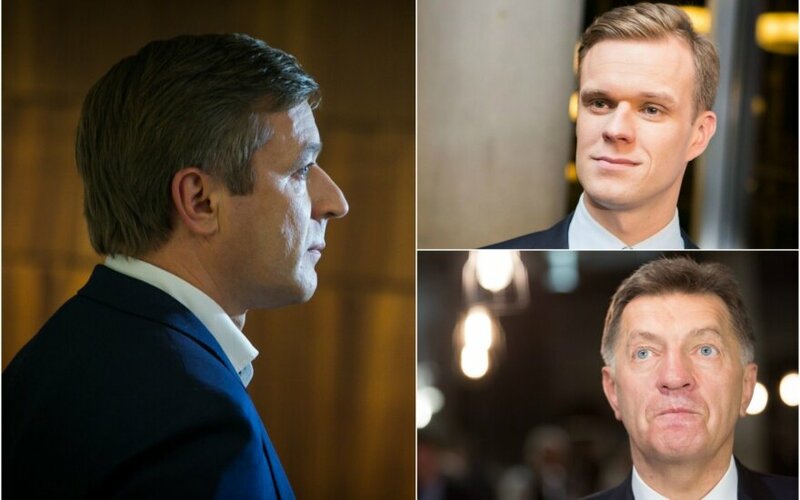 Karbauskis would like to see party front runner Saulius Skvernelis in the PM seat, while he is firmly against giving former PM, Conservative Andrius Kubilius the seat of Minister of Finance. “Everything will be decided in the second round. If we win the elections, which is possible, then we will be picking our partner. We will negotiate for a cabinet of experts, to ensure that people who are qualified as journalists, tractor drivers or something similar, would not become ministers of healthcare, Andrius Kubilius should not be Minister of Finance,” said LVŽS Chairman Karbauskis. The Conservative leader Landsbergis claims that posts are not the key concern. “The main issue, if we fail to align our viewpoints, if we see that the coalition partners are not constructive, raise impossible demands or even harm Lithuania, then I do not dismiss other variants, of not struggling into the coalition,” said the TS-LKD leader. The second round of voting will be done on Sunday.